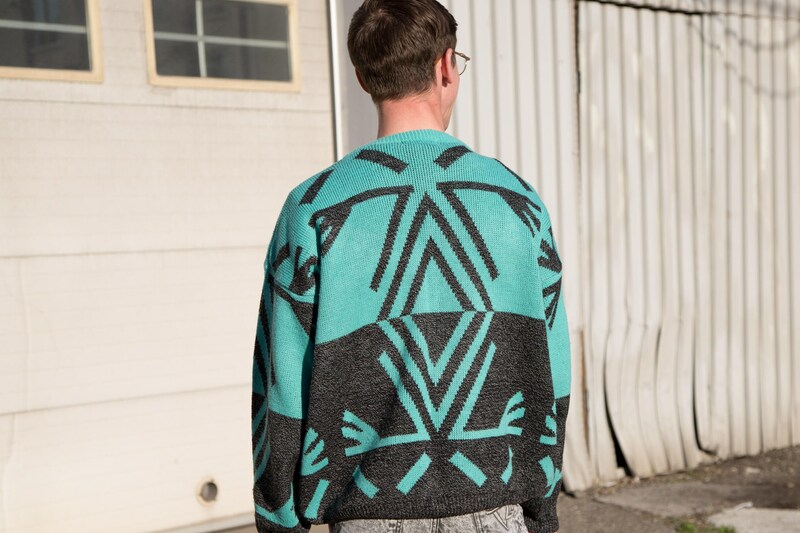 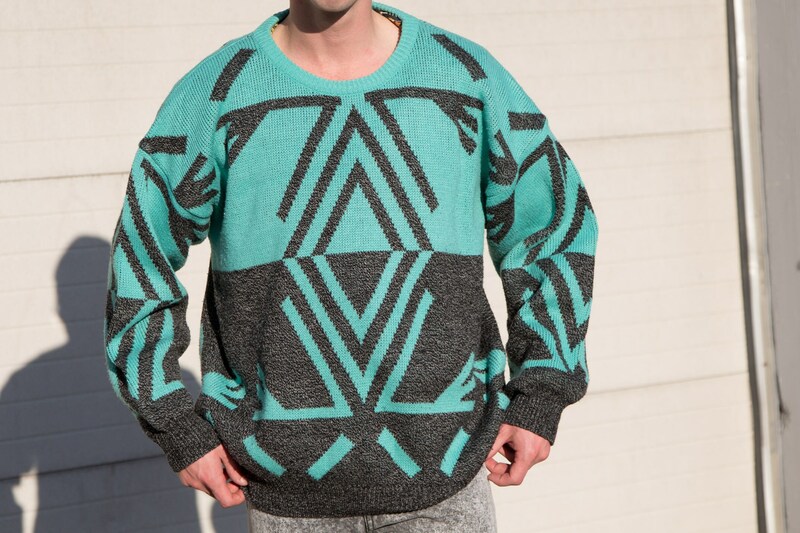 This is a fabulous vintage men's/women's hand knitted sweater with a wonderful aqua and gray geometric pattern. 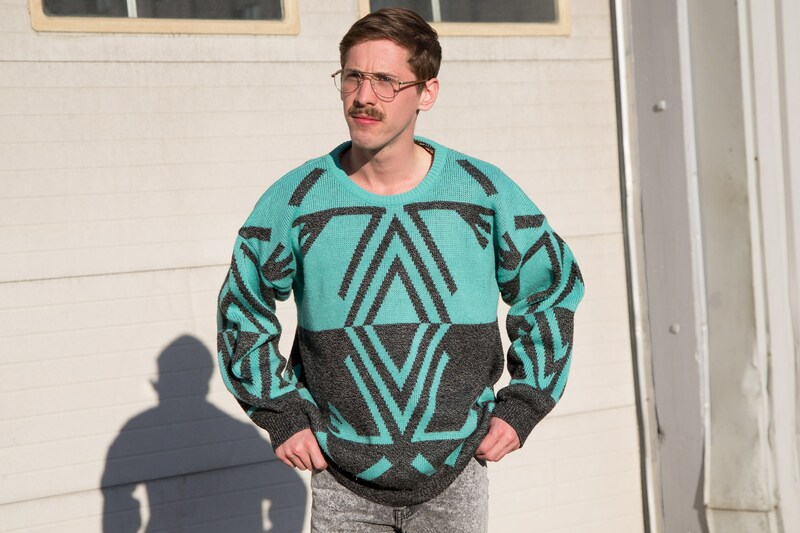 It is 100% acrylic and is soft and light. 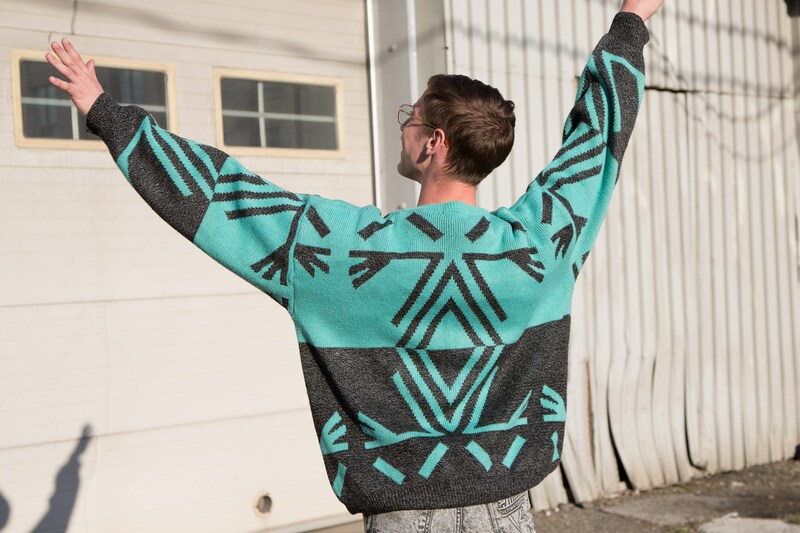 Great for the changing seasons. 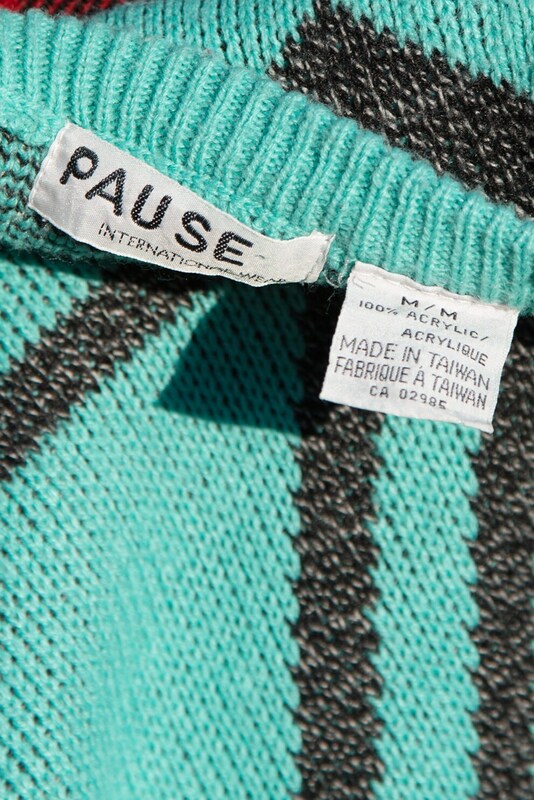 Made in Taiwan by Pause International.